The beauty of transitioning between calendar years is that it seems easier than normal to take stock of what has been over the past twelve months and what will be over the next year. For angel investing in Africa, 2016 was a firm step in the right direction and 2017 is set to build on this. 2. More than 500 established and new investors based in Africa participated in ABAN Masterclasses and Bootcamps over 2016. Arguably this suggests a ‘coming-of-age’ and reaching critical mass for Angel Investing in Africa. There is a growing community of African Angel investors talking to each other (unimaginably important) and uniquely positioned to fund and grow African start-ups. Angel investing in Africa is kicking into second gear. Angel capital unlocks the innovative ventures and entrepreneurs critical to generating much of Africa’s employment and hope for a better future. 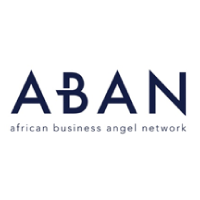 The African Business Angel Network (ABAN) has been one of the pivotal drivers behind this shift. Formally established as a non-profit organisation in 2015, its mission has been to increase the quantity and quality of Angel groups and investors active in African early stage investment markets. ABAN has organised, co-organised, supported and addressed dozens of events since its formation. This activity has revolved around a clarion cry to understand and invest in the “African Opportunity”. For the African diaspora and investors resident on other continents, this means showcasing the forecasted trajectory of Africa’s economic growth and the high calibre of existing start-ups. In other words, raising awareness of of the opportunity to invest in African start-ups, now, on the continent forecast to have the greatest economic growth over the next 20 years. For potential and existing investors in Africa, the opportunity is the same, but the call to action is to lead and not wait for international investors to come to Africa. Improving know-how, connecting networks, mentoring new investors, shaping policy and encouraging greater levels of investment are all part of growing a stronger culture of Angel Investing in Africa. The primary reason Angel Investing in Africa took a big step forward in 2016 is due to the many organisations and individuals who have collaborated and partnered – investing their time and resources to see more Smart Capital unlocked in Africa. In particular ABAN’s work would not have been possible without the headline support of the WorkInProgress! Alliance and the LIONS Africa Partnership. Many other organisations have been instrumental to the success of the year including VC4A, EBAN, GEN, WBAF, Intercontinental Limited Trust, Socius and all the different national and local Angel groups across Africa. David van Dijk, ABAN’s Director General, comments that, “our supporters, volunteers and advocates are among the best any non-profit organisation could hope for – we are enormously proud of them all and appreciate the contributions they are making to Angel Investing in Africa”. Looking ahead to what 2017 has in store, ABAN has a busy year lined up – assisting as many investors, groups and networks as possible realise their Angel investing potential. Masterclasses, Bootcamps and the 4th African Angel Investor Summit will all take place in the second half of 2017. In Q1 ABAN will be present and participating at two global events, the first in Istanbul for the World Business Angels Investment Forum (WBAF) and the second in Johannesburg for the Global Entrepreneurship Congress. Reminder: All investors and VCs are invited to participate by 23 January to the 2017 Venture Finance in Africa research conducted by VC4A and partners, vc4afri.ca/investorsurvey (5 minutes to complete). The 2016 report can be found here on VC4A. VC4A is a fast growing community of business professionals dedicated to building game changing companies on the African continent. Do you write about startup related issues and want to contribute to the VC4A blog Let us know!